RC Radio: Emperor's Retreat, additional comments! The Emperor’s Retreat is a place where you go to find the leader within you. At some point you must be a leader. You must be the one that helps others to find order when all they see is chaos. It is an important part of the spiritual journey to help others, and you cannot do that unless you have some kind of leader energy. The Emperor holds sovereignty over his domain and his creation. But also he is the spiritual leader of that domain as well. Spirit resides within you and part of the human journey is to let that spirit shine outward on to all you touch and create. 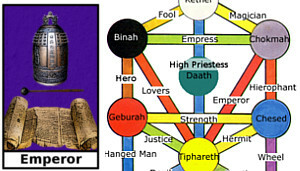 Emperor’s Retreat is located between Chokmah and Tiphareth on the Tree of Life. The energy of knowledge meets the fatherly energy of will and creation here. 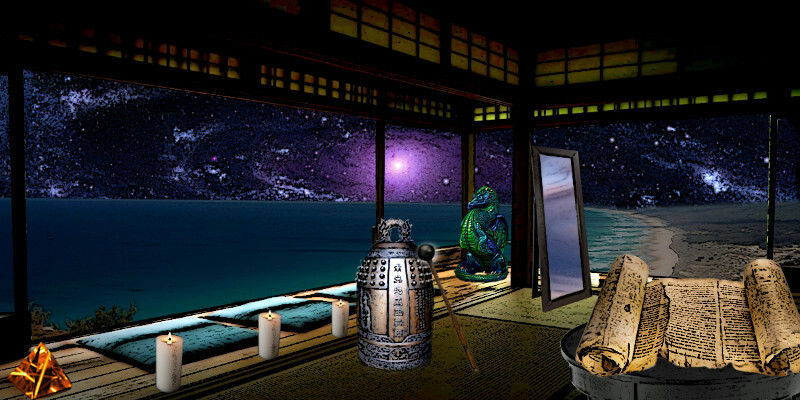 This place however is not about the throne, as you may expect from the Emperor Tarot card. This place is about the elements that make up the Emperor within you. In modern times you can call the Emperor a CEO. A CEO leads a corporation of people working together, much like an Emperor governs the kingdom. However the CEO and the Emperor is just a person. So here you meet the person that makes up the Emperor. In this place you will find many of the things that help you to become a leader. Everyone has leadership in them and by exploring Emperor's Retreat, you can find out about the parts of you that make up that commanding, governing, self. There are some cool gadgets here to help you. 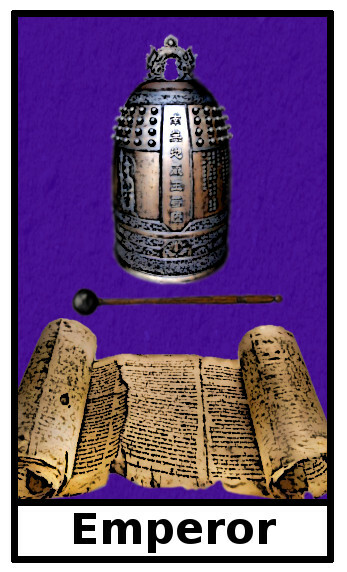 First, there is the “Bell of Aegis.” Ring this bell to bring a call to attention, to create clarity and focus, to bring your inner force of will and reality creating power to full strength. This bell can be very invigorating! There is the Mirror of Who-is. Look into this mirror to see who you are but not from your perspective but from the group reality’s perspective. Your public image is very important and this mirror can help you to see what that image is that you are transmitting. The scroll of law is here. This is your beliefs and what makes you the unique sovereign entity that you are. The statue of a dragon is here as a reminder of the reality creating power that you have at your disposal and that that power can help or hinder others depending on how you lead. Finally there is the pyramid of tomorrow. Inside this pyramid is your hopes for the future. It is not telling you what will be or what can be but what is your hope for what may be. Various military and governing leaders can show up as spirit guides to help you on your journey, be that to lead others or to just govern your own reality. One of the more common ones is Sun Tzu. Sun Tzu was a Chinese general, military strategist, and philosopher from China. He is well known for this book the “Art of War.” King Solomon may also show. The one time gift here is a commanding aura. It is a thin orange line in your aura that makes you charismatic and can illuminate you, if you desire it, to bring attention and focus on to you. There may be times when you need to pull the group focus toward you, especially if you have something important to share. The aura will help you to do that easily. Feather Pen: To rewrite your beliefs in the book(scroll) of law. Cloak of Invisibility: Hide your aura from others so you can go unnoticed.